Finance Committee Practices Policy and Procedure available free to download with the Finance Committee Checklist & Internal Audit Form. The Church Finance Committee normally covers a wide area of the activities within the church including financial reports, budget, disbursement forms, bank statements, offerings, deposits, end-of-year reports, donation statements and more. This committee for the church finances is a very important committee so that is why it is even more important to make sure these guidelines are in place with forms, policies and procedures. Financial Statements - Includes three questions on the financial statements. Cash Receipts - General, Offering Counting for Churches, Depositing of Funds, and Restricted Funds. Donation Records/Receipting - Includes five questions on donation recording and more. Cash Disbursements - Includes three questions on the cash disbursements. Bank Statement Reconciliation - Includes three questions on the bank statement reconcilation. Savings and Investment Accounts - Includes this question: "Are all savings and investment accounts recorded in the financial records? Compare monthly statements to the books." Land, Buildings, and Equipment Records - Includes two questions on the land, buildings, and equipment records. Accounts Payable - Includes three questions on accounts payable. Insurance Policies - Includes this question: "Is there a schedule of insurance coverage in force? Reflect effective and expiration dates, kind and classified payment." Federal Reporting Obligations - Federal payroll tax forms including Form 941, Form W-2, Form W-3, Form 1099-MISC. and State Forms. 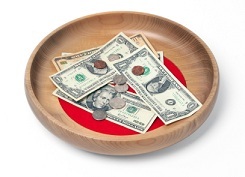 It is always a good practice for every church to keep their finances in order to help make things run smoother. The Church Finance Committee is developed to oversee the finances and stewardship of your church with the mission of the church first and foremost. Return to Church Policy Manual from Finance Committee Practices P&P.